This is my first activity in showing the Promise. 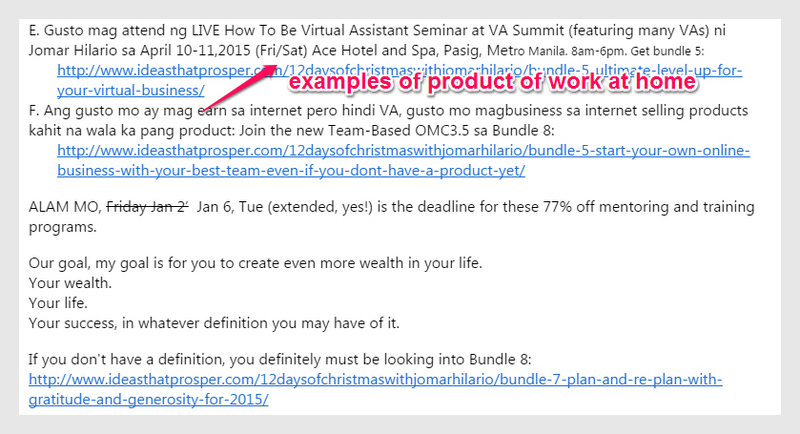 The Products are the bundles of Christmas of Jomar Hilario, our mentor for Virtual Assistants. These are the products that basically teach on how to work and earn while at home, having quality time with your family and doing the things you loved. This is just an activity on how to formulate promises out from these products of Jomar Hilario, showing how to work at home. The possible clients or customers of these products are Overseas Filipino Workers, Employees, Single Parents maybe Single Moms and Single Dads, Those who want to shift their careers or those employees who are tired of commuting and doing the same work everyday. 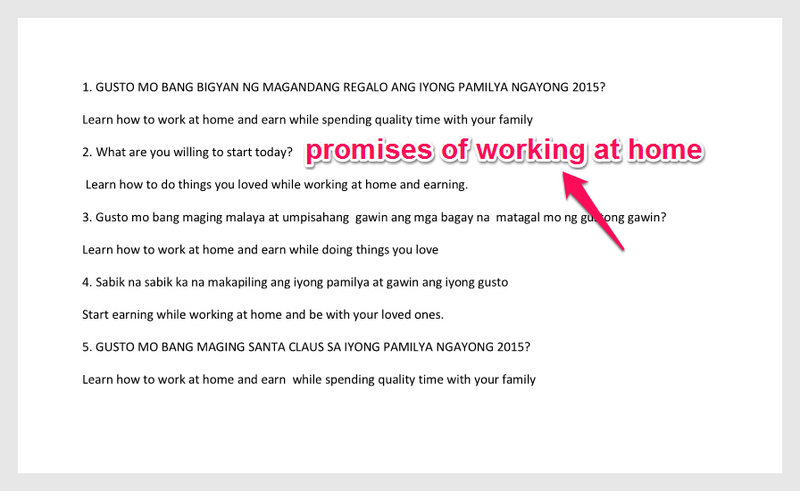 I made a list of promises based from the products of working at home by Jomar Hilario, our mentor. This is an exercise to practice stimulate my thinking on how to present the product emotionally, all the time. Yes, this helps. I will do this always, since Jomar Hilario, an internet marketer and our mentor, told us that this is the secret of marketing your products and services online. This is one way of getting prospects who have the same feelings of needs with the Ads presented online. We do not have to just sell anything online, but to be smart enough to catch attention of prospects and potential buyers and that is to present the emotional promise, all the time. 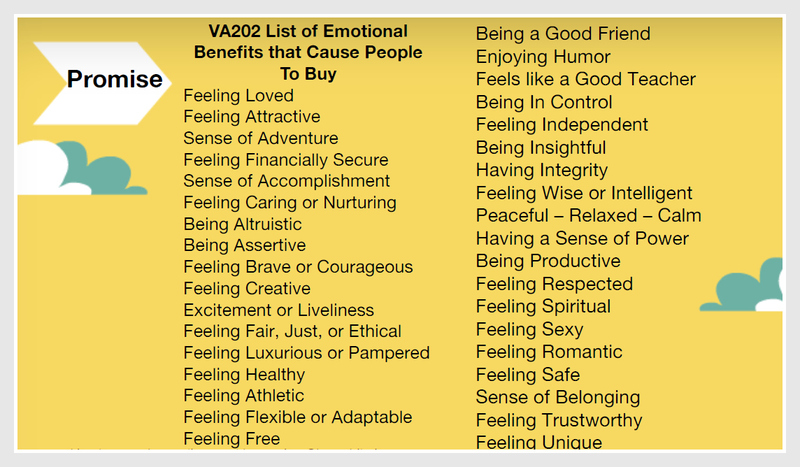 Make this a guide in showing the emotional promise of a product or service. As always, remember to present the emotional promise, all the time! Thank you and I will post again my next activity.